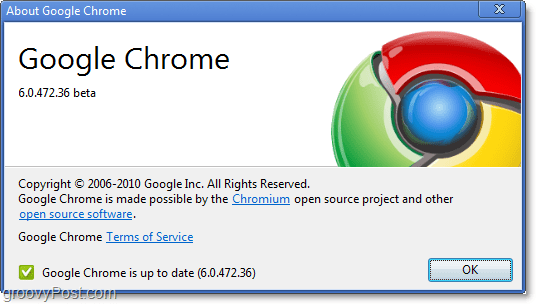 When Chrome was first released with Version 1, it wasn’t much to look at. Now 2 years and 5 versions later, the improvements are astounding. 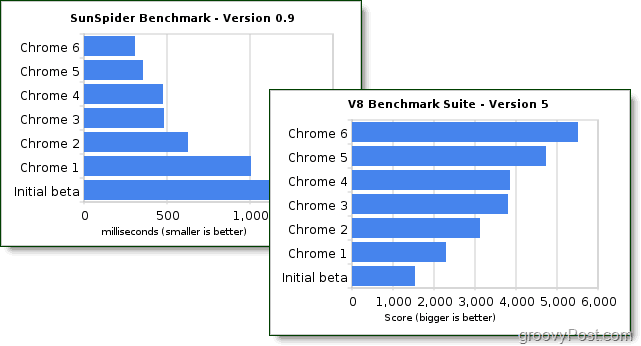 Chrome has really come out of the woodwork offering stability, performance, security, and a huge variety of features. Version 6 is an overall improvement over all of the things that we already loved about Chrome, so what exactly is this new version packing? Chrome 6 has a new look, and it might not be huge and noticeable but there are quite a few little things and they are worth counting. The little “Go” arrow in the address bar has been toasted, and now there is a star there to quickly bookmark your favorite pages. Print Selection has been fixed in Chrome 6 for Windows, we’re still awaiting User Interface support for this in the Mac and Linux version. Remember that old page icon next to the wrench on the toolbar? It’s gone! All the features that were in the page icon were either streamlined or moved into the wrench menu. Okay.. I know it’s actually called the “Customize and Control Google Chrome” menu, but wrench just rolls off the tongue a little better. With this change, the wrench bar itself has also been streamlined and is easier to use. Chrome extensions now have the ability to sync across multiple machines. You’ll never have to worry about hunting down and reinstalling all of your favorite extensions ever again, despite how many different computers you might use. Browsing history for commonly visited sites will also sync to the cache across multiple computers. This is supposed to increase page loading speed, but really only helps those on an extremely slow connection. 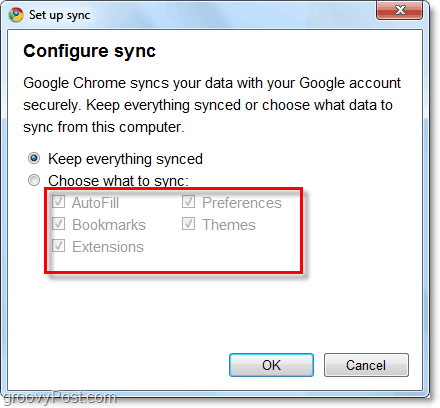 Of course Chrome already had the capability to sync your bookmarks, but now it will also sync the new AutoFill data and other preferences. AutoFill is a feature that’s new to Chrome, though it has been around for a long time in Internet Explorer and Firefox. Chrome will offer to save any addresses you might enter into online forms, and it will even save credit card information. Of course it will ask your permission before doing so and the actual card number only displays the last 4 digits after it’s input. There is one big thing missing however, Chrome has a huge personal security hole and this feature just ripped it a little wider. It needs a master password. Chrome has a master password? The password manager and now financial AutoFill information desperately need a “master password” to help keep things secure for those who might have or gain access to your computer. But does Google Chrome have one? Not yet. In the Google support forum over 1000 people have responded to this need and I really hope that Google will wake up soon and incorporate this simple but powerful feature in at least version 7 of Chrome. In the mean time I won’t be saving my credit cards or passwords to Chrome. 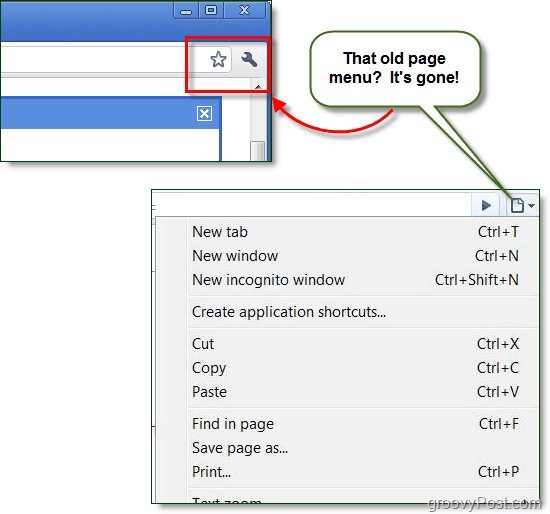 With the new version 6 of Google Chrome, Google has really made the browser simple, clean, and user-friendly. I can’t yet say that it is “better” than Firefox, but it is well on the way to attaining rival status. Note than Chrome is now being used by 7.2% of world-wide internet users. I have to agree with you on the master password feature. Chrome doesn’t have one, yet it is trying to manage our passwords? What kind of password manager doesn’t have a master password to lock everything up!? “Wake up Google” indeed. I’m enjoying version 6. I noticed a HUGE bug though. If you are doing a search on Google.com it FORCES you to use suggested search options. I mean the box just doesn’t even disappear until you click a suggestion or click search, it’s really bad! bookmark manager on 6.0.472.51 beta shows a blank screen. anyone else suffering this?